Glamping on the edge of the Veluwe! Going on a camping holiday where the accommodation is already ready for you? That is Glamping: a conjunction of the words Glamorous and Camping. Glamping means that you can relax in all the luxury and comfort of a chalet, without foregoing the real holiday and camping feeling. Would you like to try glamping? Or would you love to go glamping, and are you looking for the best holiday park on the Veluwe? We welcome you at Vakantiepark Ackersate in Voorthuizen! Choose the safari tent, and imagine you are on a real safari: including a veranda with a lovely lounge set. Or choose the tent villa, and enjoy a holiday with your own bathroom, a spacious covered terrace, and three bedrooms. 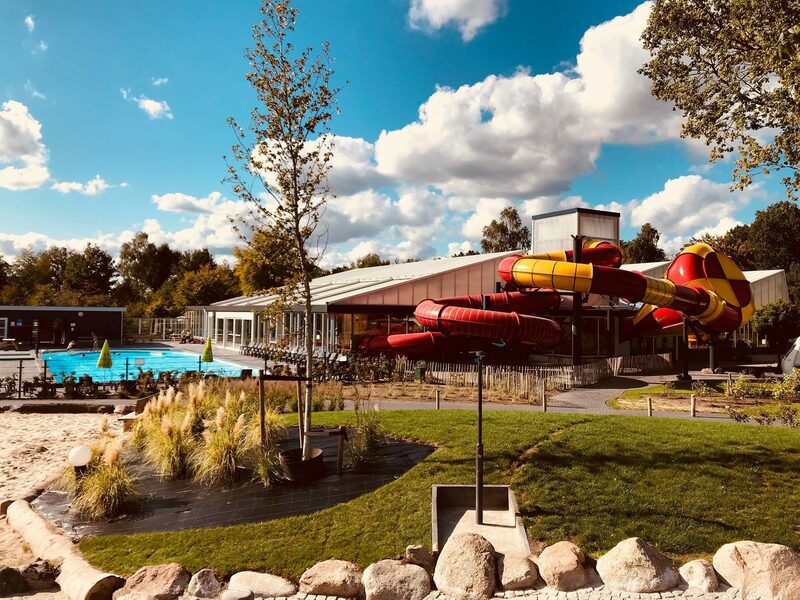 Of course you will have access to all the facilities at Vakantiepark Ackersate during your glamping holiday, including the swimming pool (with two slides! ), and the trampoline park. You will also find catering facilities on site, such as a snack bar, restaurant, ice cream corner, and holiday shop (including delicious fresh bread to start your day). What else could you wish for? Ackersate: a glamping experience for all ages!